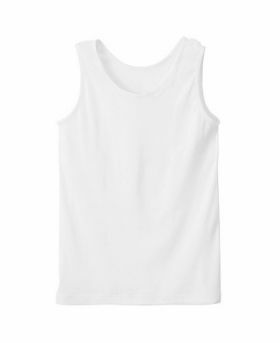 Underwears for children :: Katakura "CARE COTTON" BOYS' TANK TOP 39ins.～63ins. Home/Underwears for children/Katakura "CARE COTTON" BOYS' TANK TOP 39ins.～63ins. Katakura "CARE COTTON" BOYS' TANK TOP 39ins.～63ins. Height: 39ins. 43ins. 47ins. 51ins. 55ins. 59ins. 63ins. Minimum quantity for "Katakura "CARE COTTON" BOYS' TANK TOP 39ins.～63ins." is 1. Care Cotton (for Kids) product has been certified to “Japan Atopic Dermatitis Patients Association recommended goods”. This product is made of Katakura original thread, "Care Cotton to wear". It is particular about the sewing that less stimulates the skin for persons who have sensitive skins and have skin troubles. Support skin troubles and problems such as skin roughness,drying,heat! The inner is a great and gentle inner using special thread which is Katakura original. You can care your skin just wear it. ●Seams on outside less skin irritation. ●With a washing tag as a print, the stimulation that was prickly with a tag is reduced. 1. PH control function to keep skin original subacidity of the person. 2. Superior absorbing perspiration and quick-drying. 3. Deodorize smell of perspiration and sebum quickly.